​This year we decided to share with parents our restorative approach to behaviour management. Miss Michael led the sessions with pupils and parents together. They all had a chance to think about different scenarios and role play the restorative approach. The main message was that the restorative approach is all about fixing problems and making things better moving forward – not just about telling children off and not getting to the root of the problem. These workshops are being run for Y3, 4 and 5. Here are two presentations given to parents to help children with their reading and spelling at home. Parents came into the classes during our three day celebration of maths. A fantastic time was had at the Y3 Maths workshop. The parents and children played some games and did some Maths activities. At the end of the session, Ms Owen spoke with the parents and explained to them how we now teach Maths at Holly Park. She showed them the resources that we use and talked about the “Singapore Maths” approach that we follow. Congratulations to the 20 parents who successfully completed the 6 week parent gym course and received their certificates this week. Parent gym is open to any parent who would like to participate. 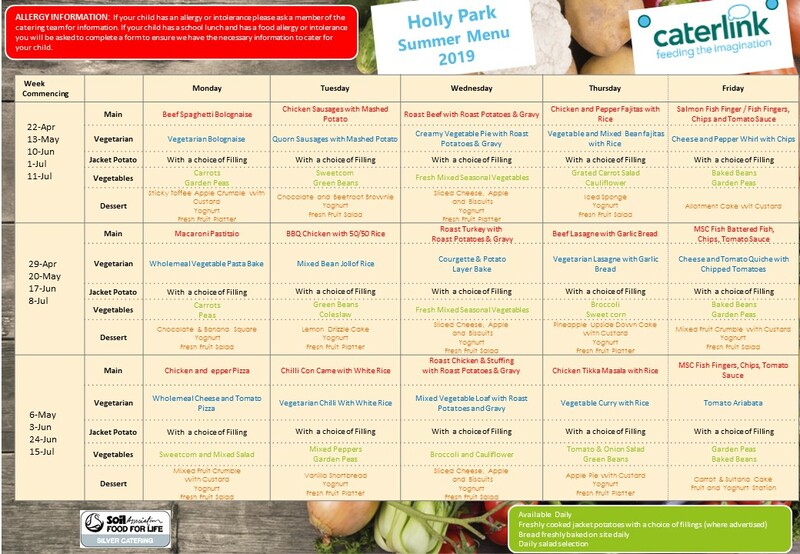 The sessions are free to parents and are run by an external provider on a Friday afternoon at Holly Park for 2 hours. The sessions cover a wide variety of parenting topics including behaviour, the balance between warmth and discipline, communication, how to encourage learning, raising healthy children and building a support network for both children and parents. We have a waiting list for the next course but speak to Mrs Puzey if you are interested in this course. Mr Stewkesbury ran an interesting workshop for parents and children about online safety. Together the children and adults thought about the rules around keeping passwords private and how to make strong passwords. Miss Mountford ran a very engaging parent workshop for Y4 parents and children. They took part in Kung foo punctuation, did a spelling investigation and learnt all about the various parts of a sentence. Mrs Fitzpatrick ran a meeting (which was very well attended) to explain to parents about the Y1 curriculum and what the children were expected to achieve in maths and English by the end of the year. Ms Owen ran an excellent parent workshop for parents and children about maths. The children and parents worked together on fun problem solving activities. At the end of the session, the parents stayed to hear more about approaches to the new curriculum and how they could support their children at home. Mrs Fitzpatrick held a session for Year 2 parents to outline what the expectations were for the children to achieve by the end of the academic year in English and Maths. She explained about the end of key stage assessments that would be done. She also talked to parents about how they can help their child at home. Mrs Walton ran a workshop one morning to show reception parents how children at Holly Park are taught phonics. They heard the Jolly Phonics songs, saw flashcards, learnt about the order that letters are introduced and how the children can use these to build up simple words. There were resources on display and every parent got an information pack to take away. We held two meetings for our nursery and reception parents at the start of the year to explain to them all about the different areas of learning and why play is an important part of that learning. For the second year we are running parent workshops in Ocean Maths. This year we are holding workshops for Year 2, Year 4 and Year 5. The workshops are an opportunity for parents and children to work together doing fun activities in maths and for parents to see the kind of maths problems and games that the children are doing. We hope that parents will continue to play the games at home after the workshops. The Autumn term workshops were very well attended. Ocean Maths workshops have continued throughout the year and have been very well attended by parents, grandparents and carers. The children have really enjoyed working with so many adults on maths activities and challenges. We have been very pleased with how many people have attended. All have had over 50% attendance by parents and some as many as 75%. In June we paid for a company to come in and talk to parents at about internet safety. We wanted to help parents think about keeping children safe at home on computers, ipads etc when they are playing games and using the internet. We think this is very important as technology becomes more a part of children’s everyday lives. The meeting was well attended and we hope to run another session next year if you missed this one. Whatever age your child is, it is always best to try to keep one step ahead! Mrs Fitzpatrick our key leader for Key stage one and Mrs Thomas our Families co-ordinator held two separate meetings for parents of Year 1 and Year 2 in order to explain to parents what the end of year expectations are for each of these year groups in Maths and English. The meetings were very well attended and parents were keen to have access to the materials. Year 2, 3 & 5 will be participating in a special homework project this year run by a charity called “Ocean Maths”. We are holding special parent and child Maths Workshops to introduce Ocean Maths to you and to your child. The workshop is a family event and is for your child and for you as a parent. Research shows that, if parents support their children, they achieve more. We look forward to seeing more of you at the future workshops. The Y5 workshop was very well attended by over 50% of parents. The Y3 workshop was attended by over 50% of parents and the Y2 workshop was attended by over 70% of parents. Here are some pictures of the Y5 workshop. There was some great feedback about the sessions. The Reception staff ran a workshop one afternoon to show parents how children at Holly Park are taught phonics. They heard the Jolly Phonics songs, saw flashcards, learnt about the order that letters are introduced and how the children can use these to build up simple words. The parents also heard about the reading routines for Reception Class and the importance of sharing books with their children. There were resources on display and every parent got an information pack to take away. By the time most children start reception they should be able to distinguish between speech sounds and some may be able to blend and segment words orally. In reception children will be taught the letters’ phonemes (sounds) and they will be given lots of opportunities to use their phonic skills during their day to day activities. During their time in reception they will become increasingly confident at segmenting and blending sounds while reading and they will also use their phonic knowledge to help them write captions, signs and letters. We will also encourage them to make phonetically plausible attempts at spelling. At Holly Park we use `Jolly Phonics` songs and actions to help teach phonics, but use the `Letters and Sounds` letter progression. Use `sound buttons` and practise blending with letters to read. Hiding letter cards around the class room- can you find sss (phoneme)? Give children experience of breaking words up orally into their constituent phonemes so that they can use their knowledge of letter sounds to spell words. Blending for reading is a combination of letter recognition and oral blending. Involve your children in your own writing opportunities. They could write their own shopping lists, make greetings cards and notes for members of the family and signs for the house. Avoid making writing a chore; try instead to tap into their interests. Praise their attempts at writing. Encourage phonetically plausible attempts at spelling. For example a child may write `bred` for bread, this is acceptable in reception as it demonstrates their phonic understanding. Encourage your child to use lower case letter formation. Don’t get your children to trace over letters, or fill in printed handwriting books. Allow children to use large pieces of paper, as small paper can sometimes restrict children’s mark making. We are very keen to encourage children in reception to develop a real love of books and we encourage parents to regularly read and share books with their children at home. In addition to the books that children choose to take home, a little later in the term, they will also be given a reading scheme book for them to read. These books are phonic based and we would like the children to read a page or two every day with you at home. Please use the Reading Record Book to write comments on your child’s reading progress. Your children will also have the opportunity to read their reading scheme book with their teacher every week. We will also focus on a range of core texts over the year and your children will be encouraged to take part in shared reading activities. Choose a quiet place and an appropriate time to read with your child. Try and get your child to read for a few minutes every day, but don’t spend too long – fifteen minutes maximum. Encourage your child to `sound out` the letters in words, rather than say letter names. Your child can use the pictures in stories to help them. If your child is really struggling to read a word, encourage them to also use grammatical, contextual cues as well as their phonic knowledge; does it sound right? Does it look right? Does it make sense? Use the key words to play bingo games and encourage your child to spot key words in signs, magazines and books. Enjoy sharing a range of fiction and non fiction books with your children. Comics and children’s magazines are often a good way to get more reluctant children interested in reading.